As students begin to return to college campuses across the country, they may be curious to know that there are a number of fine online resources that will help them develop their college-level writing skills. The first site offered here comes from the Dartmouth College Writing Program, and contains a number of helpful materials, such as some well-written essays that answer the question "What is an academic paper?" and also provide information on researching topics for papers. The site also includes information on such topics as writing about film, writing for sociology courses, and helpful suggestions on writing from fellow students. 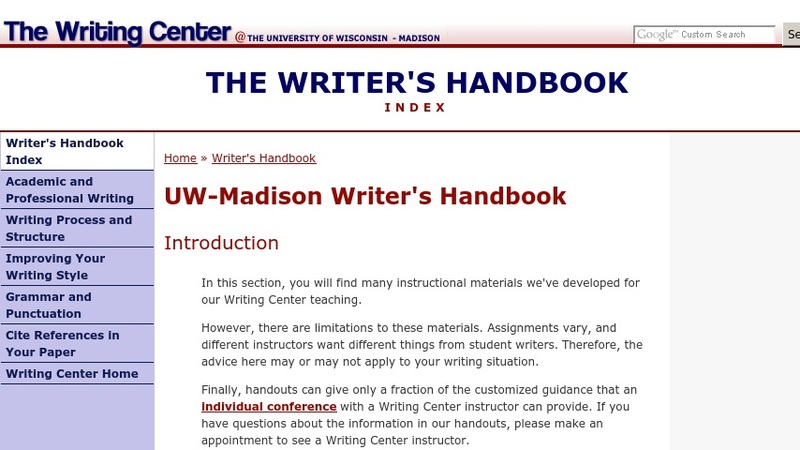 The second site is offered by the University of Wisconsin-Madison's Writing Center and contains material on how best to cite references and avoiding common grammar and punctuation mistakes. Taken together, these sites provide a host of materials that will allow students to become better writers in their various courses during their time in the world of higher education and beyond.